The Editor, Dr. Walter Dorn, teaches military officers and civilians at the Canadian Forces College (CFC) and at the Royal Military College of Canada (RMC). He is a professor of defence studies and, at the time he edited the book, the Chair of the Department of Security and International Affairs at CFC. 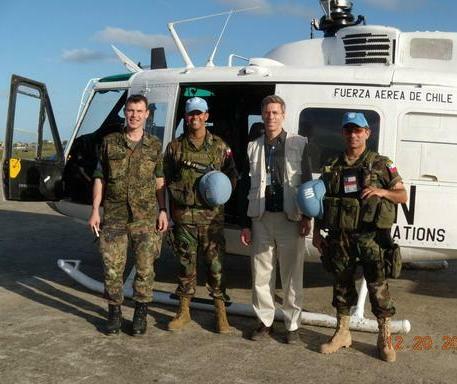 He has both studied and served on UN peace operations, and worked as a consultant to the UN's Department of Peacekeeping Operations. More information at walterdorn.net. The chapter authors are seasoned military officers, UN staff, peacekeepers, doctrine developers and academics — experts on their subjects. Their bios are here.